Get this ultra-compact but ultra-flexible headphone amplifier system, and you will absolutely love it! It boasts 4 totally independent stereo high-power amplifier sections. The highest sonic quality with virtually all types of headphones is assured even at maximum volume levels. You can use the phones level control plus the accurate 6-digit LED output meter per channel for easy level monitoring. There are 2 balanced stereo main inputs with independent Level and Balance controls for individual mixes, selectable for all 4 headphone amplifiers. An accurate 6-digit LED main input meter is provided for precise level indication of both line inputs. 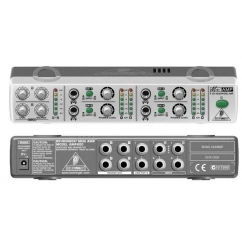 Dual headphone outputs on each channel on front and rear panel allow for connecting a total of 8 headphones at the same time. 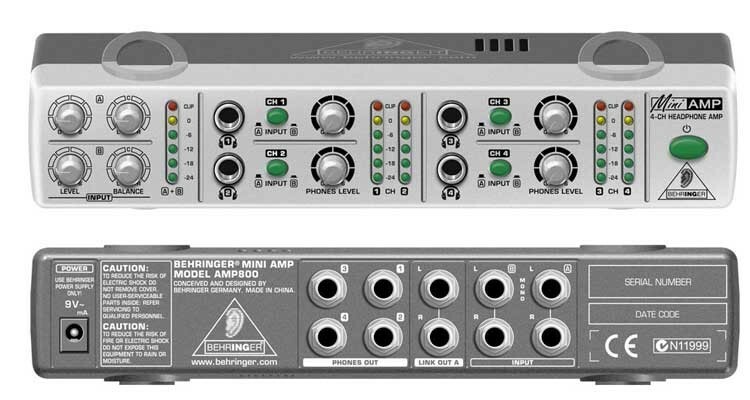 A parallel Link Output enables cascading several headphone amplifiers. Long-term reliability is guaranteed with the high-quality potentiometers and illuminated switches, and our ultra low-noise audio operational amplifiers offer outstanding sound performance. 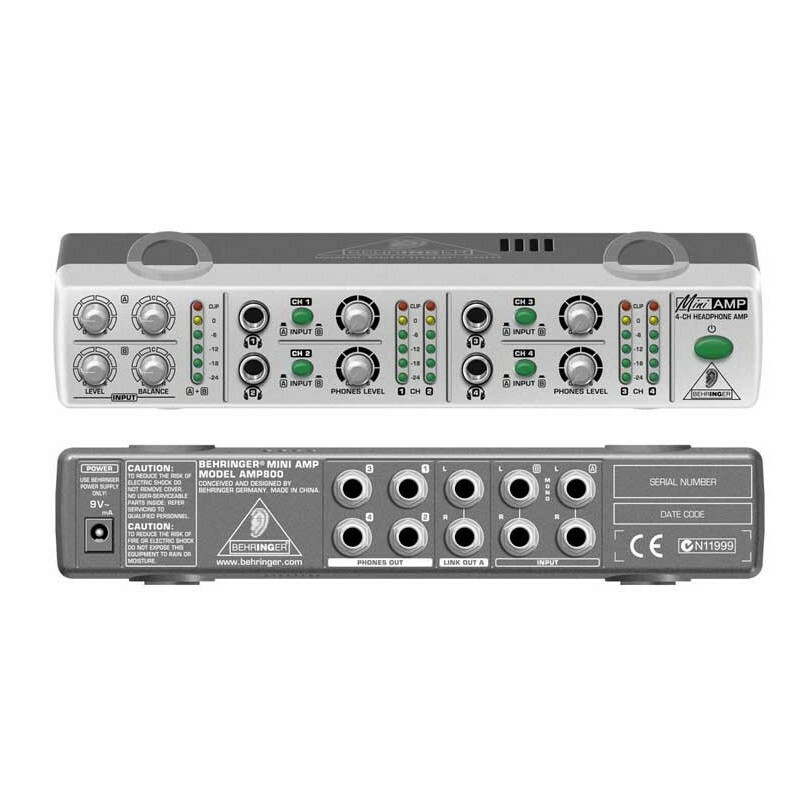 In addition, all Mini Series models can be stacked on top of each other to create an ultra-compact signal processing solution.